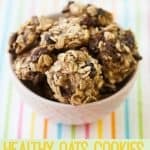 These 3 Ingredient Healthy Oat Cookies are rich in fiber, vitamins, and minerals! 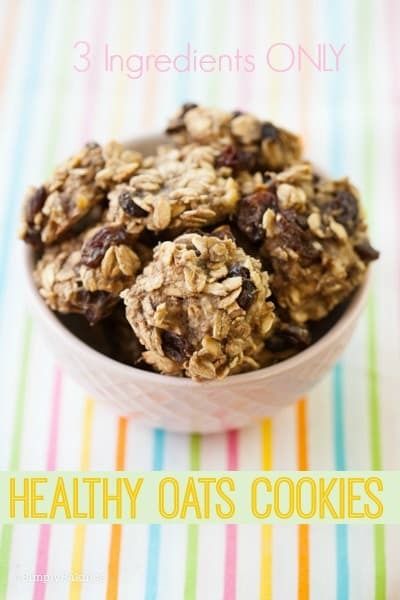 Simple yet delicious and great to munch on for breakfast or as a snack! I hope you guys enjoy this recipe. 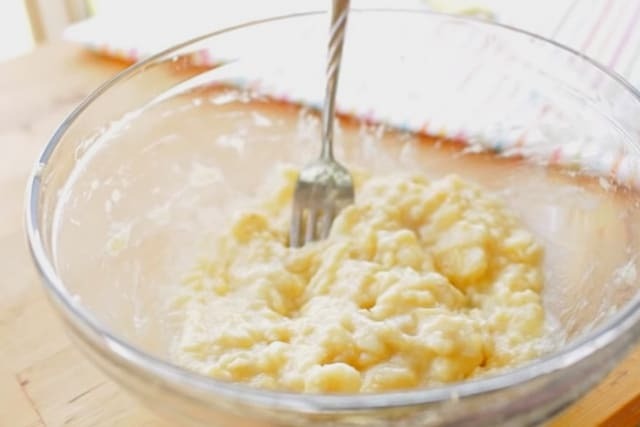 In a large bowl, add 2 bananas and mash it. 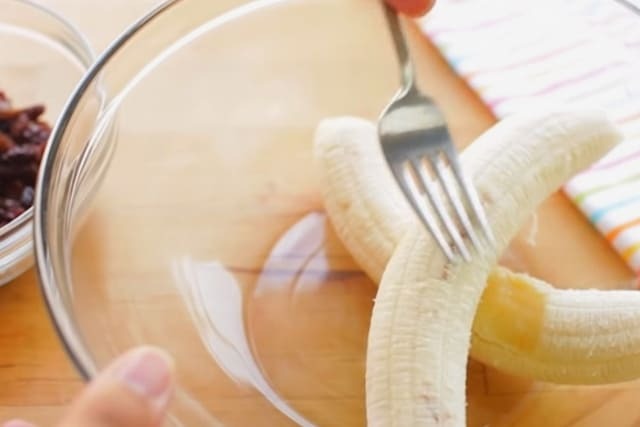 Make sure you use bananas that are very ripe. They taste so much better when baked and are easier to mash. 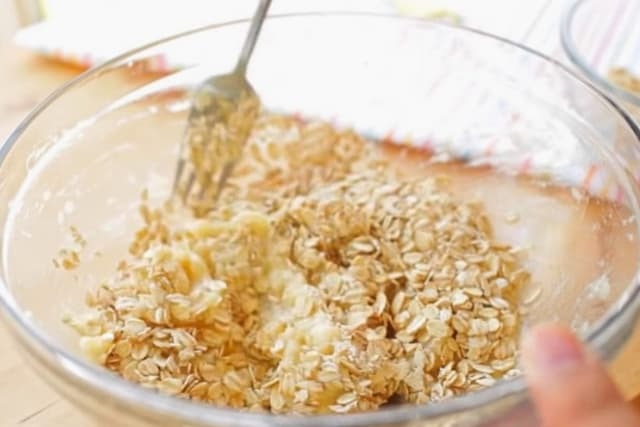 Gradually add quick oats to the mashed bananas. 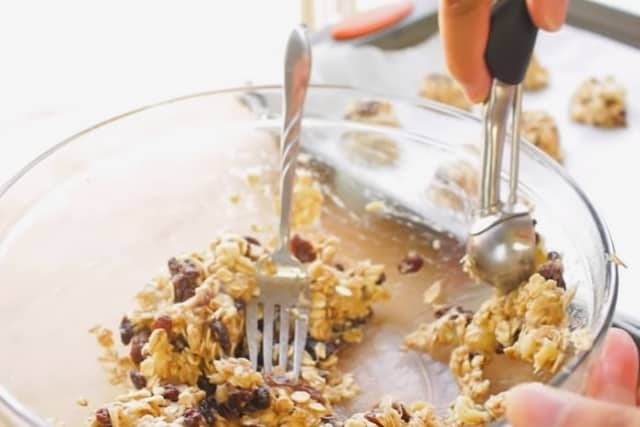 Then add raisins to the mixture. You can also add some cinnamon for that extra flavor. 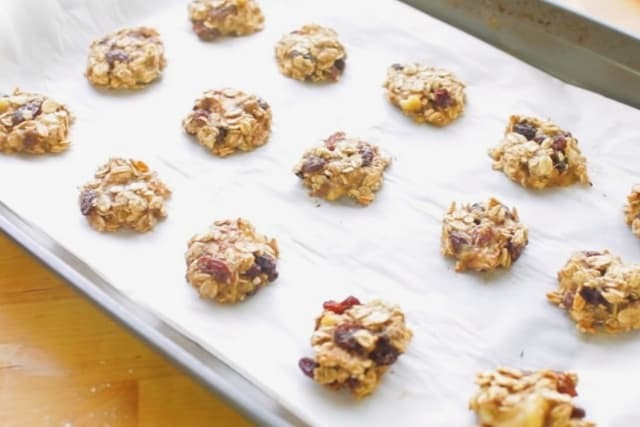 Scoop the cookie dough into your silicone mat or parchment paper. Bake for about 15 minutes until they’re done. 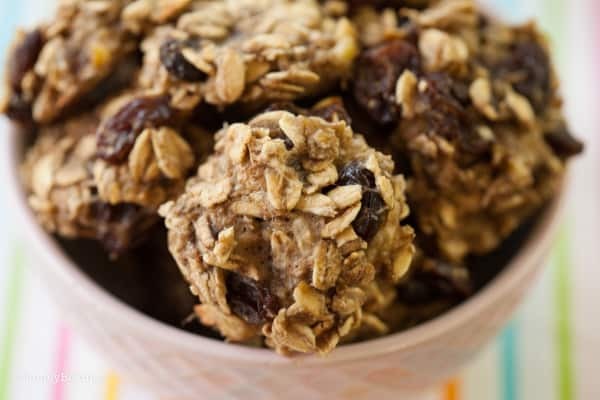 Make some more yummy and easy recipes! I love them, Lainey! 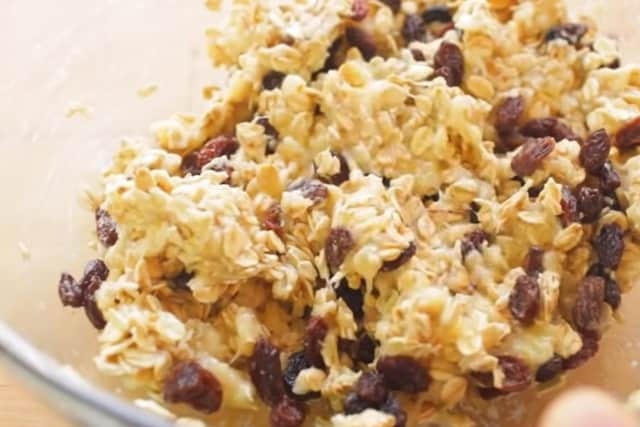 Lainey created Simply Bakings to share fun, creative, and simple recipes for all ages.